In core training to maximally develop core strength, you must use the full range of motion and add resistance to your ab and core exercises. If you've read my page on core stability exercises, you understand that stability refers to the ability to keep your spine from moving. Although strength and stability go hand-in-hand, you can emphasize one or the other based on the exercises you choose and how you perform those exercises. Isometric exercises are considered more of a core stability exercise because there is little to no movement in the lower back when performing the exercise. The weakness of only performing isometric exercises is that you only get strong in one position. Core Strength Exercises differ from core stability exercises because strength exercises challenge your abs and lower back through the full range of motion. Some movements, functions, and sports require our spines to twist, bend, and extend. In order to perform those movements efficiently, your core muscles must be strong through the entire range of motion and in many different positions. If you compare the plank(core stabilization) to ball crunches(core strength) you will notice the difference between core stabilization exercises and strength exercises for the core. In the stabilization exercise the abs simply hold you in one position, but in the strength exercise your abs move you through the full range of motion. Moving through the full range of motion is essential to building strength and developing lean muscle tissue. In addition to using full range of motion, you must add resistance to your core exercises in order to make additional gains in strength. This is a big mistake that people make in their core workouts! Your muscles must be fatigued between 6-12 repetitions. 12-25 repetitions is still okay for core exercises, but 12-25 reps shifts the emphasis from strength to endurance. Any more than 25 repetitions and the emphasis is purely endurance and cardiovascular. Again, there is nothing wrong with doing more than 12 reps for your core exercises. The main point is that if you want to focus on strength 6-12 reps is ideal. You can add resistance to your core exercises by using dumbbells, medicine balls, ankle weights, cables/ tubing, or ab machines. Also, when an exercise gets easy, you should try a more challenging exercise so that your strength does not plateau. Here's a summary of my thoughts on Core Training, so that you can incorporate core exercises into your workout routine. The National Academy of Sports Medicine focuses on building Stabilization, Strength, and Power. When we do exercises, we can emphasize stability and control, strength and lean muscle development, or speed and power improvements. Core Stability Exercises involve little to no movement in the lower back and are used to teach your body how to be stable so that you have less pressure on your back and move more efficiently. Core Strength Exercises differ from stability exercises in that strength exercise move through the full range of motion and resistance is added to continually challenge the abs and low back to get stronger. 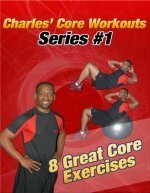 core Power Exercises emphasize speed and explosive movements. If your ultimate goal is to run faster, throw farther, or jump higher, you must do power/ speed exercises. There is overlap between all types of core training exercises. With any core exercise you will get benefits in all arenas, but the emphasis depends on the exercise and how you perform it. If your goal is the develop core strength, choose exercises that go through the full range of motion and increase the resistance so that you feel the muscle work between 6-12 reps.
Don't over analyze this philosophy-- leave that to the nerds. Just understand that all core training exercises are good for you, but you can focus on stability, strength, or speed.